Editor’s note: After Uber’s chief economist, Jonathan Hall, publicly criticized the MIT study’s findings for being based on “inconsistent logic,” its lead co-author acknowledged that the study’s conclusions may be inaccurate and said he plans to run a new analysis to recalculate drivers’ wages. Since taking over as Uber’s CEO, Dara Khosrowshahi has done a lot of talking about his company doing “the right thing,” and how he’s changing its toxic culture. A new study from researchers at MIT might have a bullet point to add to his to-do list. It finds that once costs are included, 74 percent of rideshare drivers are making less than minimum wage and many are losing money. A working paper from MIT’s Center for Energy and Environmental Policy Research compared a survey of over 1,100 drivers for Uber and Lyft with “detailed vehicle cost information” and found that 30 percent of the workforce is actually paying to work after vehicle expenses are taken into account. Overall, their findings paint a bleak picture: The median profit for drivers came out to just $3.37 per hour before taxes. According to the working paper, 74 percent of drivers are earning less than the minimum wage in their states once these costs are included, with the average driver only pulling in $661 of profit per month. For those who are considering working for ride-hailing service, this data should give them pause. Those who already doing it should pay close attention to the paper’s finding that the median profit is 29 cents per mile. The researchers say that drivers could possibly take advantage of the standard mileage deduction that tops out at 54 cents per mile and declare a loss on their taxes. So while rideshare services are losing billions of dollars, billions more dollars of driver income may be mistakenly getting taxed. Meanwhile, other recent studies have found these companies are just making traffic worse. While the paper is certainly attention grabbing, its methodology and findings are deeply flawed. We’ve reached out to the paper’s authors to share our concerns and suggest ways we might work together to refine their approach. Last year, Uber settled claims by the Federal Trade Commission that it misled drivers about the potential income they would make. Gizmodo obtained a letter sent by Uber’s lawyers to the FTC where they argued that drivers were only earning less than the advertised rates because they chose not to drive enough. 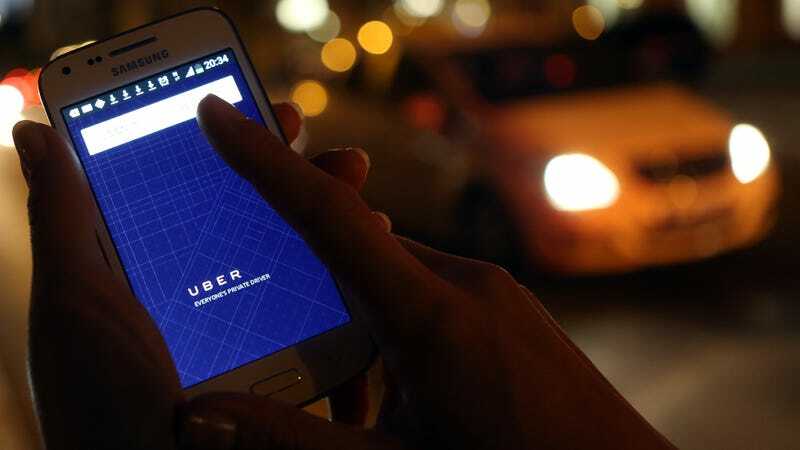 Earlier this month, however, Uber implemented a “mandatory rest period” to combat the problem of drowsy drivers working shifts longer than 12 hours. The fact is that even if rideshare drivers end up making twice as much as MIT claims, they’d still likely fall below the standards of a livable wage in the United States. Update 3/6 6pm: Uber’s chief economist, Jonathan Hall, responded to the MIT study’s findings in a detailed post on Medium in which he said the co-authors applied “inconsistent logic” and flawed questioning to arrive at their conclusions about drivers’ wages. Zoepf, the study’s lead co-author, agreed in a letter he posted on Twitter that there were flaws in the study and plans to redo the analysis and resubmit a new draft of the paper.